Welcome to WANDERLUST, the fanlisting for actor JOSH HARTNETT! I became a fan of Josh's ten years ago, when he made his movie debut in H20. I think he's very talented, not to mention handsome, and I remember making a comment ten years ago that I felt he would go far in his acting career, and he certainly has proven me right! A fanlisting is a list of fans from around the world stating that they are a fan of a particular subject. 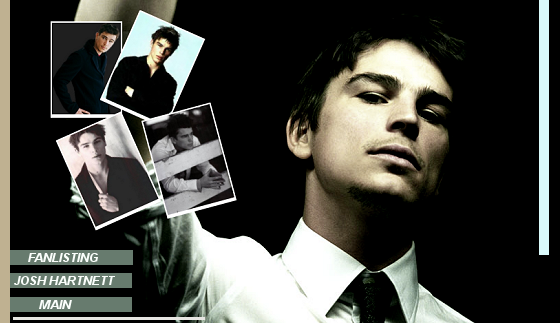 In this case, that subject is Josh Hartnett, so if you are a fan like I am, join up! I am not Josh Hartnett, I'm not affiliated with Josh in any way, nor can I get in contact with him. I am just a fan showing my appreciation.